With Easter now here, we are well into the Revision season and many students have already been attending the GCSE afterschool revision sessions and the A'Level Lunchtime revision session. Our revision programmes continue after Easter and in the build up to the exams we encourage students to make use of our revision guides and online resources and see their teachers with any questions they have. Practice past papers are available for all students and we would encourage students to attempt extra questions in the run up to the exams. 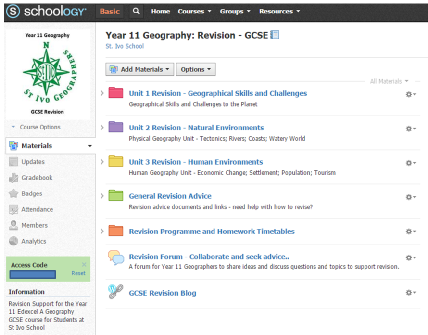 In preparation for the exam season, our Year 10, 11, 12 and 13 GCSE and A'level Geography courses are now all online as courses on Schoology (www.schoology.com), with powerpoints, video clips, links and supporting resources. We hope this proves useful as another way for students to access resources for revision, as well as for students ensuring that all notes are up-to-date. Students can also ask questions through the online discussion forums. Students in Years 10-13 can get the relevant access codes to join their courses from their teachers. The University of Birmingham are inviting Young Geographers studying GCSE or A'level to enter their photography competition with the theme "Geography on my doorstep" - it is open to all interpretations of geography, spanning physical and human environments. There is a first prize of a £100 and a runners up prize of £50 Amazon vouchers for both the photographer the Geography department. For further details please see the University Competition Website which includes a link to the terms and conditions and the entry form. Please let your Geography teacher know if you are entering the competition. The closing date for the competition is Friday 10th June 2016 (5pm). 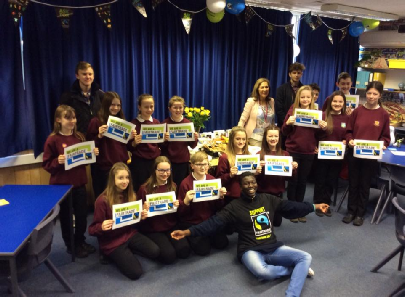 As a Fairtrade School, Fairtrade Fortnight is an important event in our department calendar and thanks to the hard work of Mrs Morey, the Eco-Ivo team and our VI form Geography Ambassadors , once again we have had a very successful fortnight raising awareness of the importance of fairtrade and the difference it can make to millions of farmers and their families around the world. 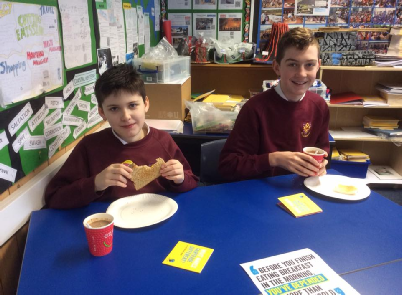 As well as Fairtrade stalls, held at lunch and break times, selling Fairtrade products such as Divine Chocolate and GeoBars we also hosted our first "Great Geography Fairtrade Breakfast". This was part of the Fairtrade Foundation's challenge to raise awareness and understanding that by supporting fairtrade we can help farmers and workers to put food on their tables. 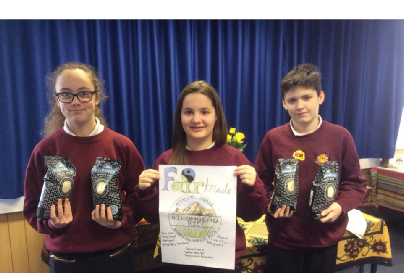 We had a very successful breakfast with fairtrade products from a total of 13 different countries and two of our Year 8's, Hattie and Maddy, gave a short presentation on the importance of Fairtrade. 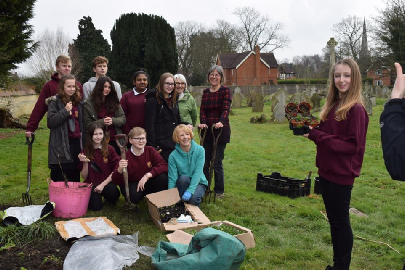 Earlier this month, members of our Eco-Ivo committee worked with member of St Ives in Bloom, spending their lunchtime planting wildflower plants in a corner of the cemetery in Westwood Road and we look forward to building on our work with the local community. The Geography Department would like to take this opportunity to wish students, staff and parents/carers a very happy Easter and a restful break over the holiday period.